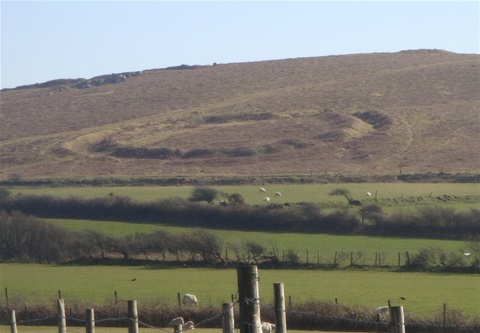 Long before the Romans came to Britain, three Iron Age forts were built on top of a hill near the home for waifs and strays. You see, I stumbled upon this amazing piece of history when out walking with my kind and unassuming husband, just the other day. The open heathland known as Hardings Down in Gower, South Wales, overlooks gentle sloping fields that roll downwards to the sea. As we reached the summit of the hill on that wonderful summer’s morning it was difficult to imagine those days so long ago, when battles as well as farming, were a way of life. We stood on the grassy banks with ditches below, the ditches that were dug to protect the people and animals within the fort walls. It was an eerie thought but fascinating at the same time and a feeling of gratitude swept over me. How lucky was I to be standing there, 2,000 years later, without the fear of regular gruesome battles? I did not have to witness the heads of the enemies being taking from them in battle to prevent their souls from returning to this world. You see, the Celts were superstitious people and believed in the afterlife. I wondered about the Celts that lived where I stood, so many years ago. Were they constantly worried about being attacked? Was it true what the Romans said when they eventually arrived? Were the Welsh war-mad and quick to battle? And did they fight naked, exposing their tattooed bodies? Perhaps so! Whether this is true or not, I remain (and always will be) proud to be Welsh! Also, remember too, that the Romans would not have wished to describe the natives favourably, now would they? They were hard times undoubtedly, but at least they had discovered a new metal called iron so their tools and weapons were stronger than ever. But there was also merriment to be had in the shape of a pint which they made from barley they grew on their land. 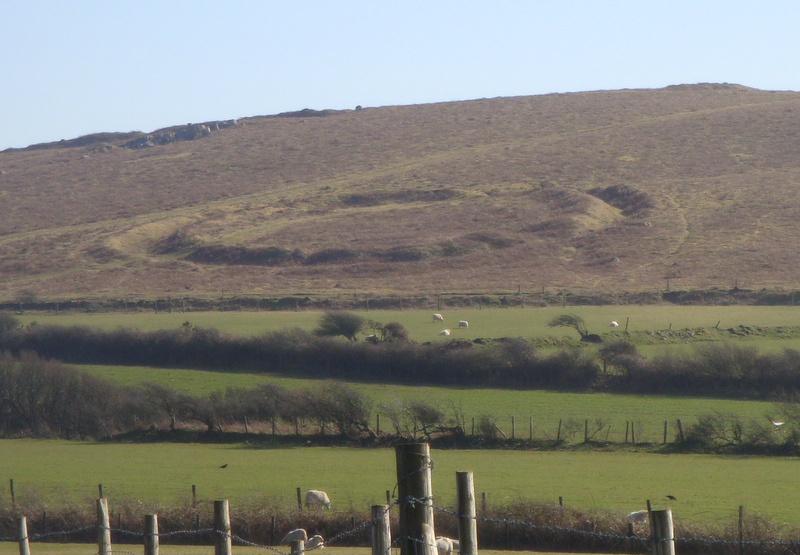 And so the place where we stood, on Hardings down, on a sunny day in the year 2014, filled me with curiosity and I will continue to search the area for evidence of life in times that for me, one who has the most vivid of imaginations, is almost unimaginable.